jennie's nails and tales: Hugging "The Help"
I've been reading voraciously for the last few weeks, devouring novels like they're Nerd Ropes. I decided to branch out a little from my favourite authors and am very happy I did because I've discovered some really great fiction. 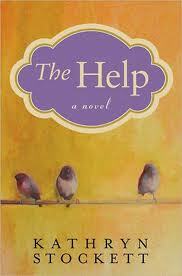 "The Help" by Kathryn Stockett blew me away. It's about the relationship between black women who work as maids and their white women employers. Set in Jacksonville, Mississippi in the 1960s, around the time of Dr. King's march, there are three perspectives, two from the point of view of different maids (Aibileen and Minny) and one white woman (Skeeter). The author's ability to create three unique narratives is impressive, but even more impressive is her ability to really get the reader hooked within the first few sentences. I laughed, cried and couldn't put it down. I'm not usually drawn to "serious fiction" as I don't really enjoy stories that make me sad, but this book took all my previous preferences and promptly threw them out my living room window. It wasn't what I'd describe as an "easy read," but that has more to do with the content than the author's writing style. There are so many examples of how black women (and men) are mistreated which usually fills me with rage, but the author presented the information in such a way that it almost became empowering. That's the mark of someone who knows how to write. Even in the end, when some of the white women were getting their just desserts, I couldn't help but feel pangs of sympathy for their ignorance. Making the character "Hilly" into an actual person was quite a feat. So if you're looking for a heartfelt read that will leave you feeling slightly drained but ultimately uplifted, then go pick it up!